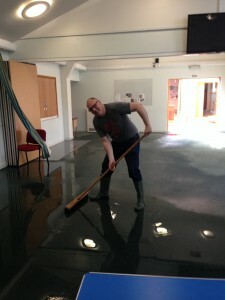 In order to prepare me for Sri Lanka, which has experienced terrible flooding recently, this is what I did today when the church was flooded … again!? Interesting that this happened the week after we finished our series on the Sermon on the Mount – did the wise man build on the rock? Now you can add comments – will wonders never cease?